Mountains are metaphors for our biggest challenges, the tough times that test our strength and perseverance. It may be freezing cold at the pinnacle of that mountain, but getting to the top means victory! 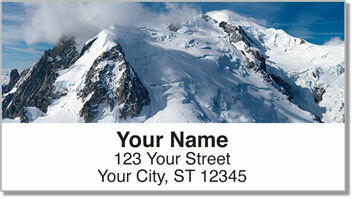 Snow-Capped Mountain Address Labels from CheckAdvantage will inspire both experienced mountain climbers as well as anyone who has ever faced an uphill battle in life. 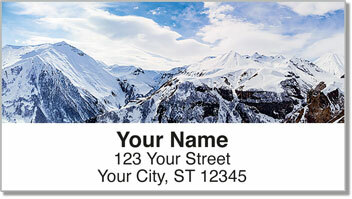 This convenient product lets you put the beauty of the outdoors on every envelope you send, and reminds you how the journey is often the reward. 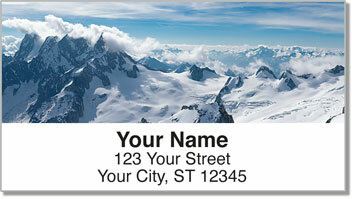 Get your own Snow-Capped Mountain Labels now! 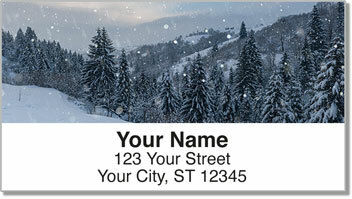 You can also find this stunning scenic design in a set of matching personal checks!